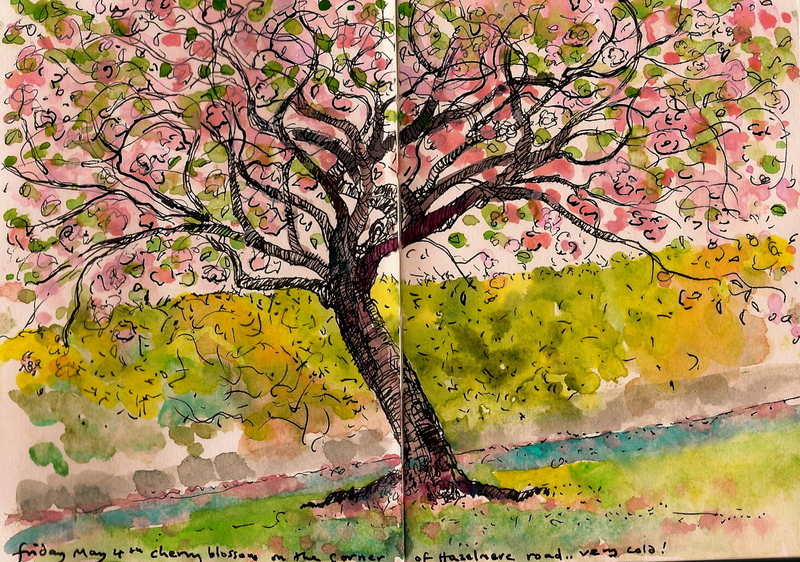 Cold and overcast again today, but I wanted to make a sketch of a cherry blossom tree before all the blossom falls off! There is a lovely one down the road on a junction, so I set up on the corner and started. Sketching outdoors where the cars are going past and people come and look at what you are doing has a different feeling from hiding in the woods! But it is something I have to try and get used to again, and sometimes it is fun to strike up a little conversation with a person who you may never see again! I wasn’t so pleased with the sketch, but I am remembering todays message, do the work, put it out there and let the world decide!